“It was difficult to get East 17 because they are so busy at the moment touring Eastern Europe and working on their new album. Nothing says Christmas like a Christmas song and what is better than having one of the greatest performed live? “We want to give the people of Herne Bay a more eclectic late night bar and venue. It’s not a nightclub, It’s going to be a lounge-style bar for people to come and relax and enjoy a great range of drinks and a venue offering various types of entertainment. Once we have completed the renovations in the main hail, the apace can be used to hold exhib itlons for local artists and art groups in the community. “During the week we would like to make the space available for local community groups and members of the society, rather than just having the bar open of a weekend. We feel that lierne Bay is ready for the new lounge bar and venue, There is life coming back into this town and we think somewhere different to have a drink and to see a great show would be a great thing for the Bay. Members of East 17. who sold more than 18 million albums in the 90s, will roll back the years when they make their appearance at the new bar. 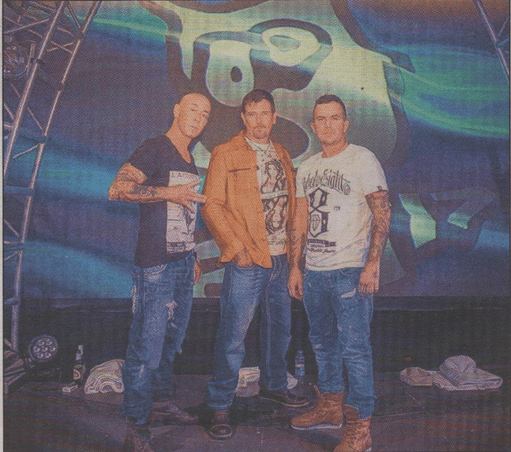 Founder members Brian Harvey and Tony Mortimer have since departed from the band, so It is now made up of original members John Heady and Tarry Coldwell, along with new addition Robbie Craig. A limited number of tickets will also be available on the door on the night.